God created us in His image yet we are all so uniquely different. God is everything to everyone so we all have that special, highly individualized, unambiguous piece of God in us that makes us who we are. I am sure that at one point or another we all get "stuck in a rut", or a little sick and tired of being sick and tired of what we are doing in our lives even if what we are doing is the passion and desire of our heart. Even the best possible scenario could eventually become routine overtime. So what does that mean? Does a severe case of the doldrums mean we're not doing the right thing? Does it mean we're not living on purpose? Does it mean that we need to jump ship and find a new vocation, a new lot in life, a new purpose, direction or destiny? Have we messed up and missed it.. Missed the calling on our lives? No.. to the contrary, I believe that a little restlessness now and then is good for us. Irresolution helps to motivate us and push us further beyond our own preset limitations and limited thinking. Uneasiness causes us to think outside the box and perhaps expand on what we're doing and how we can better use our time, efforts and talents to further glorify God through our own vocations. Moving beyond the status quo helps to reestablish and reaffirm that we are meant for greatness . We are unequivocally designed for a highly specialized purpose to glorify Christ and to enhance God's purpose for the kingdom. So as for the scripture above, it specifically states that if we don't have a vision we would perish.. what does that mean..? I believe it means that when we can see our victory..when we get a clear vision in our mind, there is a shift in our mindset and we then have a fresh zest and a new zeal to live deliberately and on purpose. We gain a new propensity and penchant for life that excites us! 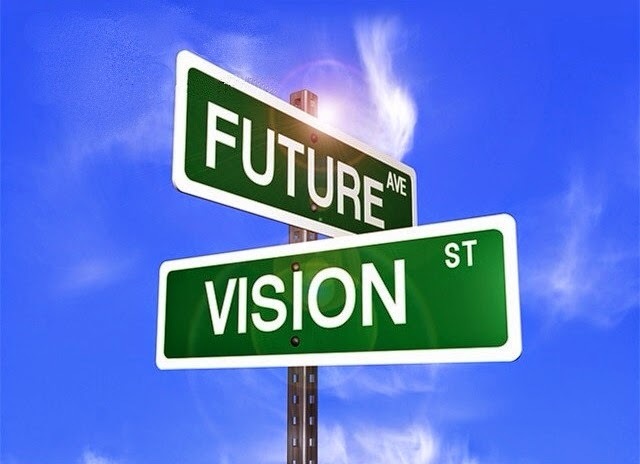 A new vision can jump start forethought action, and awaken dust laden ideas and abandoned desires of our hearts to positively motivate us and keep us moving forward! Basically we are called to live with expectancy of hope in a brilliant future without which we essentially do perish. Quite simply if we are not living according to God's will; then we are just not living! It is not God's will for us to just stand still, be commonplace and without motivation and drive to succeed...His idea and master plan for us is to propel us forward from glory to glory to receive His richness of favor and to be habitually living in the abundant blessings of heaven. We are to be an example of God's goodness and glory on earth and to set the precedence for others to see the fruit of having faith in God's divine plan. In the Bible, God told Abraham to abandon life as he knew it and basically walk off the map.. the map that Abraham lived on, ( his world as he knew it) and to visualize and grab hold of a whole new country that he did not even know existed..
God was broadening Abraham's visions all with a purpose that Abraham knew nothing about. 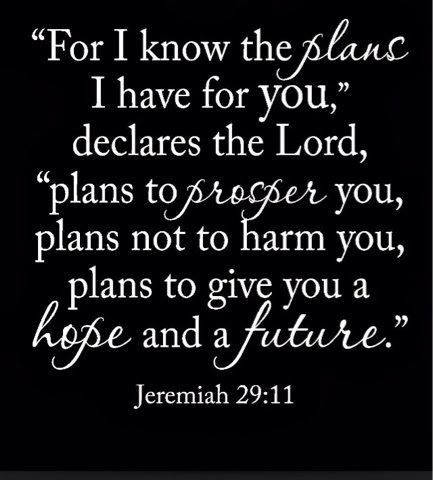 God's omniscient plan was in place before Abraham even moved ..God gave him a fresh vision, one that would direct him and order his steps bringing God glory in every way. 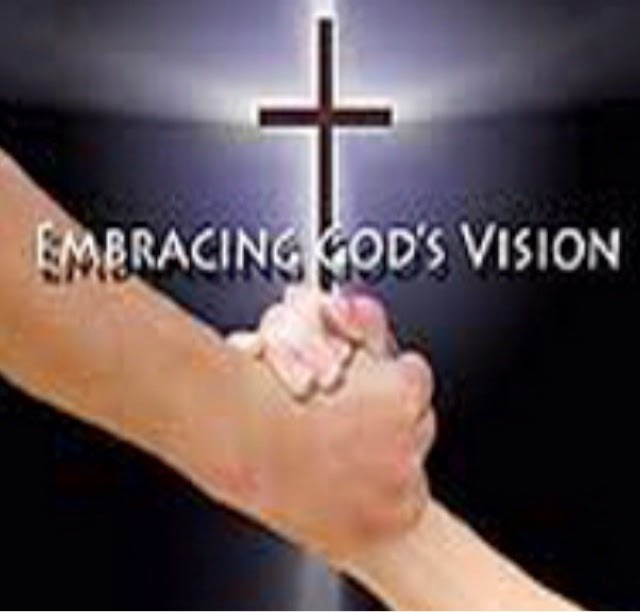 The New Vision came with some significant blessings.. Abraham had to wholeheartedly trust God with the unknown.. When God blesses, He always multiplies.. And the blessings on the back side of obedience are enormous! ACTS 2:17 17 ‘And it shall come to pass in the last days, saith God, I will pour out My Spirit upon all flesh; and your sons and your daughters shall prophesy, and your young men shall see VISIONS, and your old men shall dream dreams. This scripture clearly tells us that God is the one who gives us the new visions. He allows the uneasiness in our lives so we can turn to him and receive from the master visionary a fresh outlook. Then doesn't it seem that if we are living a stagnant and routine life; that we just simply must ask God to renew our vision whereby showing us divine revelation so that our vision would be His ? 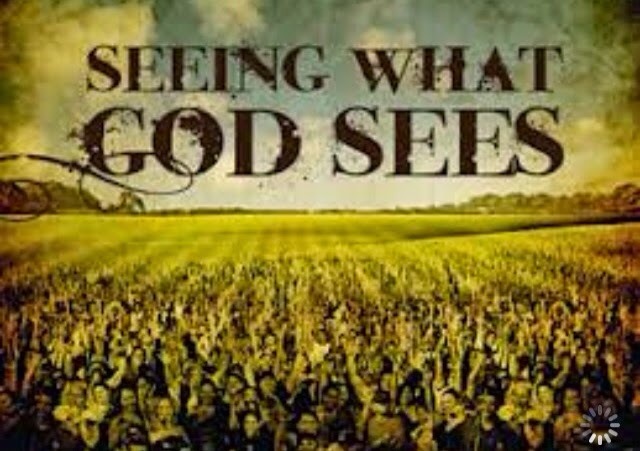 The Word clearly states that we should think like God thinks and have the mind of Christ so we could "see" the victories and blessings that God has in store for those who ask, believe, and are open to receive. For those whom God has called for the greater purpose which is to glorify him and further the kingdom of heaven.. 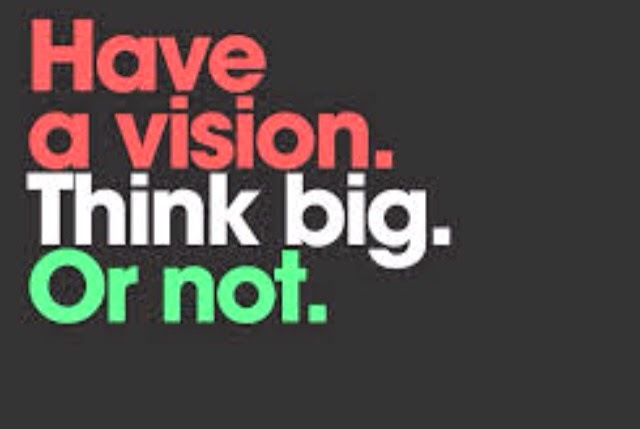 There is always a great vision first! 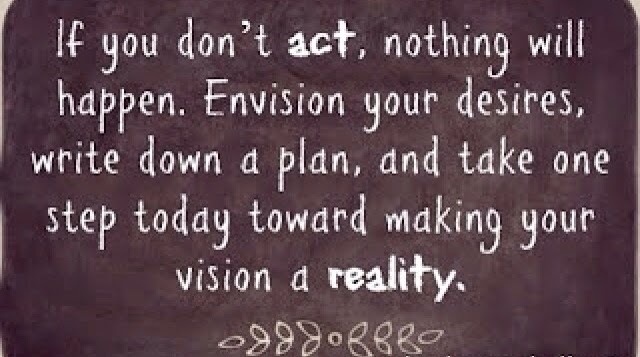 What visions do you have for yourself? What is God putting on your heart that you have been putting off? 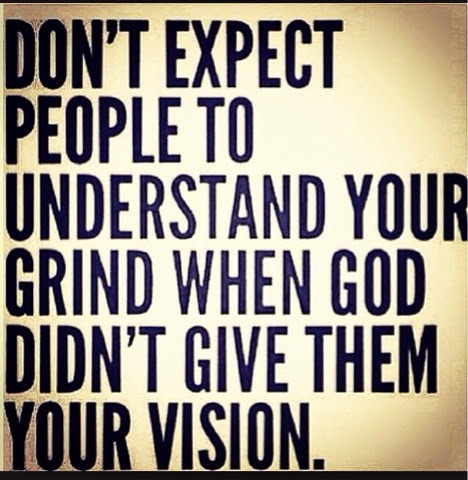 Get the vision.. Put on your proverbial rose colored glasses ..see it .. Declare it.. Then go get it! Let a new attitude dictate your thoughts and then, take the necessary steps to move toward the vision and watch God move accordingly... God is calling you today to rise up , to seize the victories he has in store for you.. Let a fresh new boldness fill your heart and soul as you take action steps toward the new calling on your life! Appeal to your better self! God doesn't call the qualified he qualifies the called.. Visualize your victory! When you can see it... It's yours!